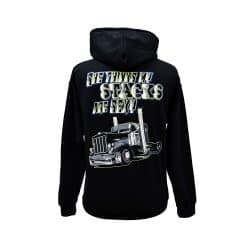 This limited product is from our 2018 pulling season and this is the design that was worn at truck shows this summer by the diesel freak crew. 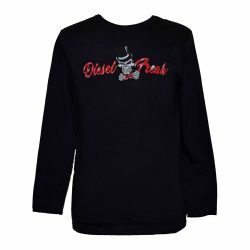 The shirt has different shades of blue flames and Diesel Freak across the front. 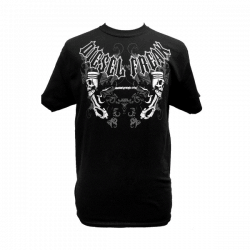 The back has Foolish Pleasure across the shoulders with an image of our truck and skully peaking from behind. This style shirt is very limited and will be discontinued once sold out.